Body line was devised to stifle Bradman’s batting genius. They said I was a ‘killer with the ball’, without taking into account that Bradman, with the bat, was the greatest killer of all. A cricket tour in Australia would be a most delightful period in one’s life if one was deaf. 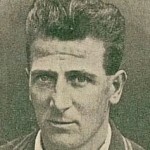 Harold Larwood was a professional cricketer for Nottinghamshire and England between 1924 and 1938. A right-arm fast bowler who combined unusual speed with great accuracy, he was considered by many commentators to be the finest bowler of his generation. He was the main exponent of the bowling style known as "bodyline", the use of which during the Marylebone Cricket Club tour of Australia in 1932–33 caused a furore that brought about a premature and acrimonious end to his international career.